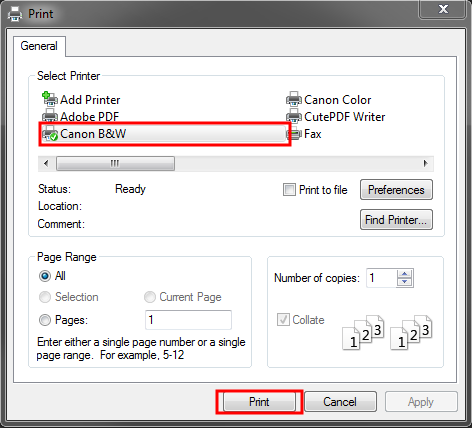 Linux: In the Print Destination section, select your printer and adjust the rest of the printing settings. 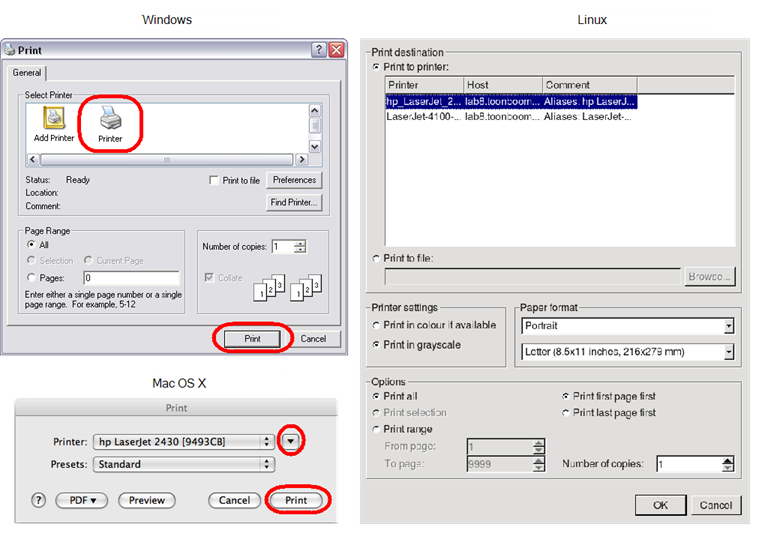 Mac OS X: In the Printer section, select your printer and adjust the rest of the settings by clicking on the Parameters button. 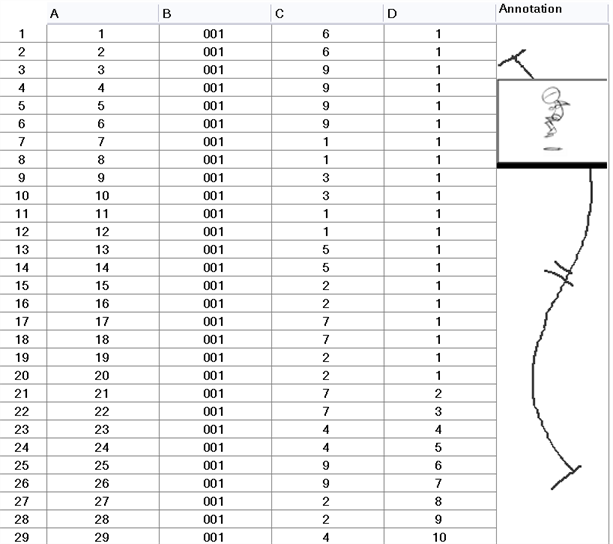 You can also click PDF and select an option from the menu if you want to save a PDF version of your exposure sheet. NOTE: Refer to your printer user guide to learn more about its options. Windows and Mac OS X: Click Print.